Field trips take place weekday mornings in our Secret Library (located behind the secret door at the back of the Brooklyn Superhero Supply Company). In the Secret Library, we’ve built a safe and creative space for both imaginative learning and standards-based skill reinforcement. After just two short hours, students leave with something tangible—a bound book, a group memoir—and with renewed confidence in their ability to read and write. Why should published authors be the only ones to experience the joy of seeing their work in print? At 826NYC we believe that everyone has a story to tell and we want to make sure that these great stories get published. To do this, we gather a group of awesome kids, pair them up with writers and artists of the highest quality, and together they write, illustrate, and publish a book for students to take home that day. During this field trip, students explore the effect that characters’ choices have on story. They create an original choose-your-own-adventure story, follow its twists and turns, and write its multiple conclusions. At the end of the trip, each student takes home a copy of the class’ adventures, bound together in a pint-sized book. It’s never too early to start your memoir! During this field trip, students explore storytelling through a nonfiction lens. With the help of volunteers and focused small group work, students explore a colorful array of approaches to the genre (from Alison Bechdel’s “Fun Home” to Beyonce’s “Formation”), then dive into telling their own stories. By the end of the program, students will have produced a class anthology of mini-memoirs and a unique biographical poem. We love hosting field trips! But unfortunately, due to the popularity of our program, we are only able to accept a portion of applicants. Our annual lottery is held at the end of August. The 2019-2020 school year calendar application is now open! To apply, follow the link below. 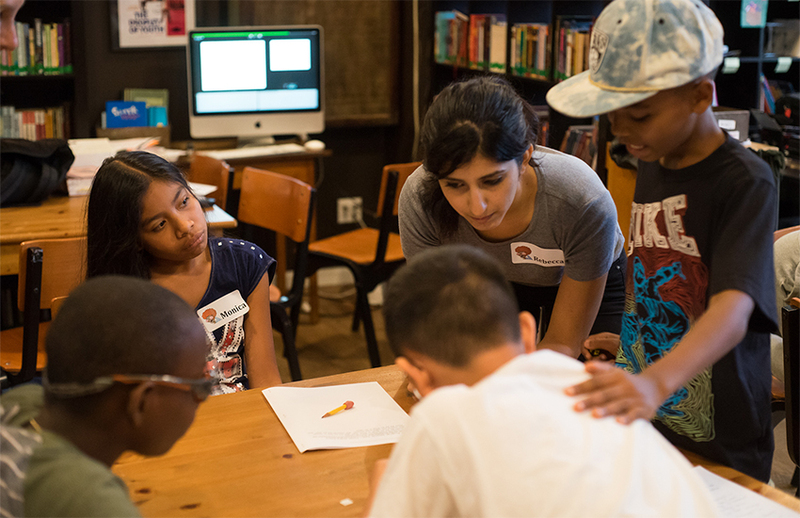 If you are interested in a Summer 2019 field trip, or have any questions, email fieldtrips@826nyc.org.